Here’s a little trivia: Who is the nation’s largest consumer and disposer of electronics? The U.S. Federal Government! 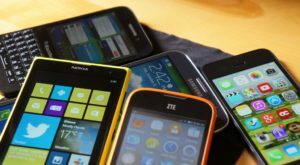 According to the website Triple Pundit, the government disposes 2.4 million tons of electronic wastes annually. To put it in perspective, there are about 2.7 million federal employees. And almost every city is home to a federal government. Because government is slowly enforcing the rules on proper disposal of e-wastes—both for the environment’s sake and for confidentiality’s sake—it has to practice what it preaches. We offer various information technology (IT) disposal services that even the government has tapped. In California, it has the Turlock E-Waste Recycling services that both private and government organizations can hire. We’re equipped with a Certified Computer Disposal Services that can handle computer recycling for any company. The best thing about it is that it’s hassle-free. 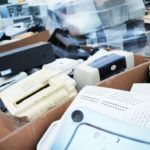 Through online communication or a phone call, Turlock Electronics Recycling services will pick up any computer that is bound for recycling. A group of experts in the IT industry will take care of business in an appropriate and responsible manner. Do you have old electronics cluttering up your attic or garage? CSU Stanislaus and All Green Electronics Recycling have teamed up to host an event to help you get rid of them responsibly–absolutely free of charge! Members of the community and businesses are encouraged to clean out their garage or attic and donate their old electronics to a good cause. Bring all of your old electronics to the event, including, but not limited to: computers, monitors, televisions, printers, mobile phones, laptops, DVD players, VCRs, microwaves, calculators, iPods, cables and wires, telephones, fax machines, scanners, computer parts, and more. All Green Electronics Recycling promises to recycle everything it accepts in North America and to never send electronics to a landfill or overseas for processing. Certified Data Destruction is available for a small fee at all of our events.